Amaury Pouradier Duteil is a Director at Accuracy, specialising in providing support and advice to the financial services industry. He works mainly for major banks and insurance companies. Over the last 10 years, Amaury has provided support and advice to financial service firmes and has been involved on numerous M&A projects. He has a broad range of experience with running financial diagnostics of businesses, risk assessment and the valuation of companies. Amaury has also conducted a wide spectrum of work in specific situations, to help clients in their decision making process, linked to business issues (including, inter alia, determining the most profitable product mix, identify key levers of cost reduction, renegotiate a partnership). Before joining Accuracy in 2014, Amaury worked at Deloitte for seven years in the transaction services department, dedicated to providing support to the financial services sector. Amaury speaks French and English. 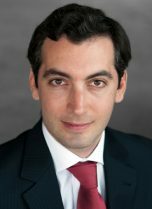 Amaury has conducted a variety of projects, including buy-side and sell-side due diligence, valuation, business plan preparation, M&A process management, modelling, strategic review and financial diagnosis. Amaury has developed strong financial skills among different experiences in complex situations including carve-out, cost reduction plan, digitalisation and transformation. Buy-side due diligences on numerous retail banks, brokers, clearing houses, fintechs, etc. Assisted two European banks to renegotiate the terms of their agreements with two global payments technology leaders.